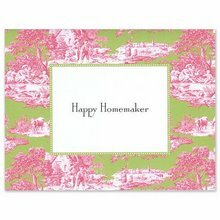 (Mostly) Happy Homemaker: Third Time's the Charm?? When I started reading other women's blogs in 2007, I was looking for a creative outlet and a place to save little, funny, daily snippets of life at the time. I had a 4 year old and a 1 year old and I just loved the ease of typing a little something, adding a pretty picture, and having it all displayed nice and tidy! I "met" so many great ladies from all over the country and several I still keep in touch with! At some point things got a little bigger than I was comfortable with at the time. I turned it private (kind of a pain in the you-know-what) and turned more towards my new hobby of learning how to use my new DSLR. Then I lost interest in the way I was doing things... For that reason, when we moved to Richmond in 2011, I started a new blog and tried to keep it less about the kids, a little less "pretty," more realistic, and see what happened. I fell in love with my new hobby of digital scrapbooking. I had always loved creating photo books for my family but this new Project Life (weekly documenting) system covered my desire to record the daily mundane of life that I love so much. Then when I started working for an interior designer, I had no time to blog- but I did learn a lot and then I had friends wanting to hire me to impart my ideas on their homes. So I now accept a few clients at a time and I was told I really need to set up my own website- with no cutesy name. I have switched to Wordpress, which definitely has a learning curve. 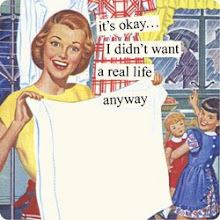 My plan is to post about all things HOME. Food, decor, family, travel, etc. Glad you're coming back! I haven't posted on my blog in FOREVER! Now I tend to post a little something on Instagram and call it a day! Thank you, Jen!! Eligible is on my list to read! I heard about it on NPR and I love anything Jane Austen-ish! I would LOVE to be in a book club with my 7th grader! I will definitely check that one out!! Keep the suggestions coming!! We're all just doing the best we can... here are some things that have worked for me, and some things I'm still working on ... because time flies and I wonder what did I DO all day? ?